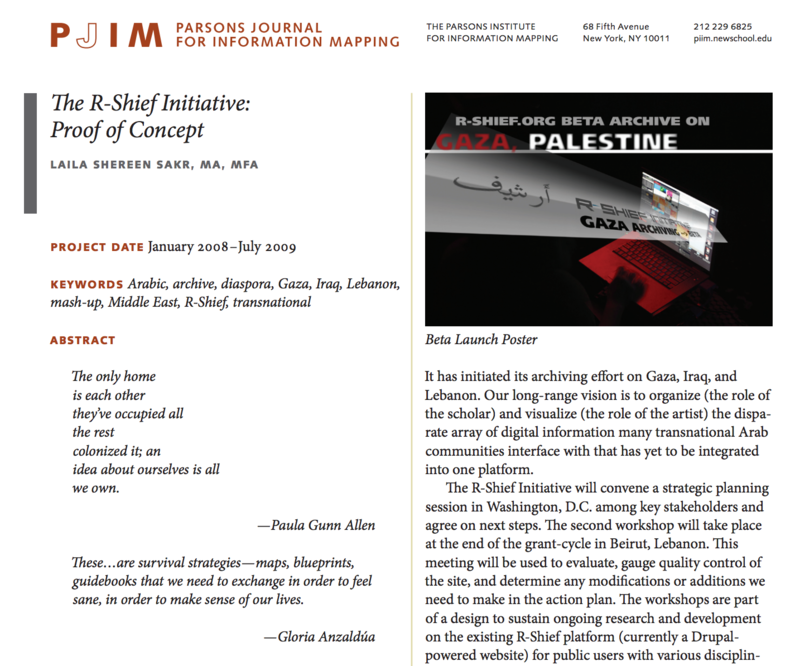 The R-Shief Initiative will build a working environment among scholars, librarians, policymakers, artists, and technical experts by producing a multilingual website that integrates existing open-source applications in order to archive 21st century knowledge production on the Middle East and North Africa (MENA) and its Diaspora. Its initial archiving effort will specifically focus on Gaza, Iraq, and Lebanon. These conflict and post-conflict sites are generating a new Diaspora and engaging transnational researchers who contribute a situated knowledge. This knowledge offers a significant scope of analysis, particularly in a context where “Arab” is poorly understood. In response to the dominance of English-language media, R-Shief’s accessibility to speakers of various languages (initially Arabic and English, and later Turkish, Hebrew and Farsi) initiates transformational change in information sharing and becomes meaningful to various communities and disciplines, ultimately affecting the terms on which cultures interact. R-Shief’s contribution to the humanities includes the creation of a forum for information sharing, using a participatory design and a sustainable process of integrating new software mixes.